I know when I buy bowls, pots and pans for the most part they come with tops. But for the life of me they always seem to go missing. Quicklids Silicone Suction Lids can be used in the microwave, refrigerator and the oven up to 375 degrees! They are also dishwasher safe. Yep they are all that and a bag of chips! They are so easy to use and no more worrying if my food in my containers will be protected because these lids are airtight. I love the color of these because they are so easy to find in my cabinets. They come in 3 sizes so you are sure to find the perfect fit. They also hold there shape, that is great because I have tossed so many lids due to the fact they have became warped and nolonger fit. These would make a great gift and I plan on these being my new go to wedding gift! PROTECT YOUR FOOD - FORGET THE PLASTIC WRAP! Nothing is more frustrating than plastic wrap, but when you have to keep your leftovers in an airtight seal, it sometimes seems like you don't have any other option. Not anymore! Quicklids Silicone Suction Lids create an air- and watertight seal around almost any container to keep bugs and germs out and food and flavors in! Works on all your pots, pans, and bowls! 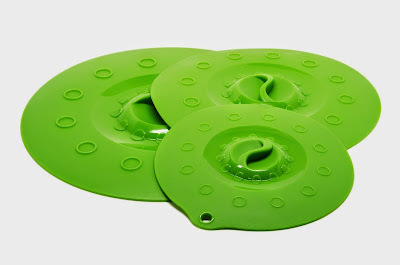 The Quicklids Silicone Suction Lids work on almost everything to keep your food covered, no matter where you store it! Easy to use, easy to store! 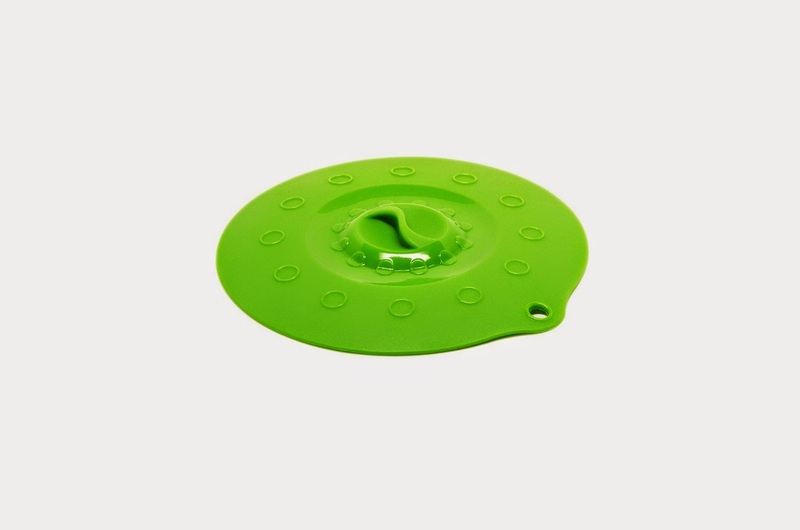 The suction seal created by the Quicklids Silicone Suction Lids will do more than just keep your food protected from germs and bugs - it will keep your counter safe from accidental spills! The suction seal prevents spills, which means you'll spend less time cleaning! No more relying on plastic wrap or leaky lids to keep your leftovers fresh! Simply your kitchen by using the Quicklids Silicone Suction Lids to keep your food fresher, longer. Best of all, these lids are reusable time and time again and don't lose their suction power, meaning you'll save money on plastic wrap AND cupboard space by tossing out all your old, out-dated tupperware! THROW OUT THE PLASTIC WRAP! Get the vacuum-sealed, food-saving power of plastic wrap without all the hassle! 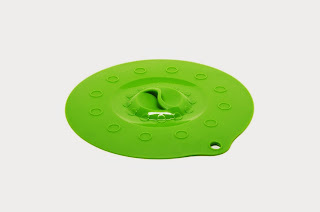 Just plop one of Quicklids Silicone Suction Lids down on top of your bowl or pot and gently push down the center to create a perfect vacuum seal that keeps germs and bugs out of your leftovers! STORE AND REHEAT! Don't remove the Quicklids Silicone Suction Lid from your leftovers when you reheat them! They're microwave and oven safe up to 375°, so you don't have to worry about lifting them up until it's time to stir and serve! Best of all, it will keep your microwave clean by avoiding those nasty boil-overs and splatters! SAVE ANY FOOD IN ANY CONTAINER! The Quicklids Silicone Suction Lids work on everything from plastic to glass, stainless steel to ceramic, so you don't need to go out collecting different food covers for your different pots, pans, bowls, or containers! Instead, use the Quicklids Silicone Suction Lids to create a water and airtight seal on any container for any leftover food! SAVE SPACE - AND MONEY! Because you can reuse the Quicklids Silicone Suction Lids over and over again, you can get rid of the mismatched lids, plastic wrap, and baggies you have taking up all your cupboard space! They store nice and flat and don't take up a lot of room. Best of all? They're dishwasher safe, so clean-up is a breeze! ORDER WHILE YOU CAN! 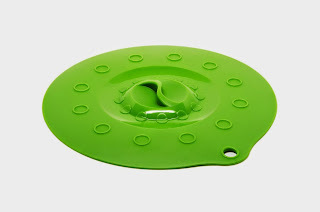 The Quicklids Silicone Suction Lids sell like crazy! Get your set while supplies last! If you're not totally satisfied, return your order for 100% of your MONEY BACK - GUARANTEED!